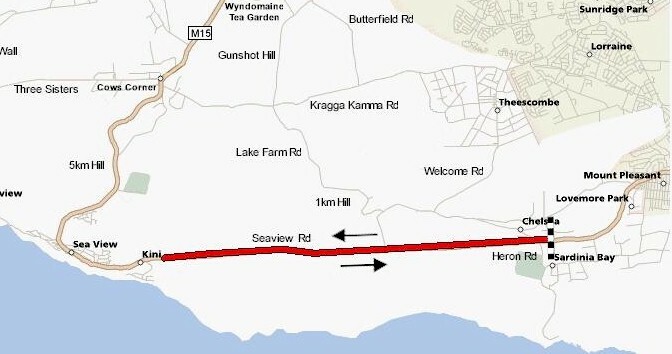 This route will comprise of a 10km outward leg and returning on the same route along Seaview Road giving a total distance of 20km. Riders will start with 1 minute time intervals gaps. 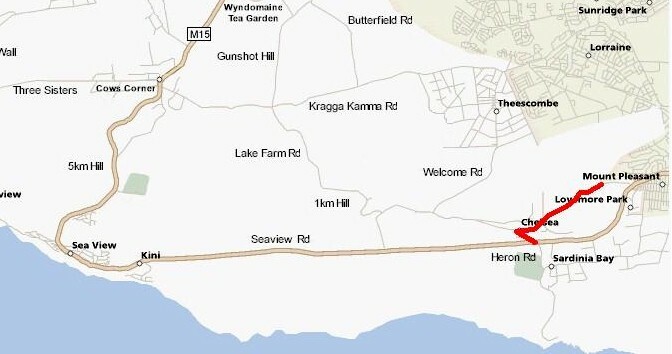 This route will be 2.4km from Seaview Road, Link Road and Old Seaview Road to the highest point at Longbarn. 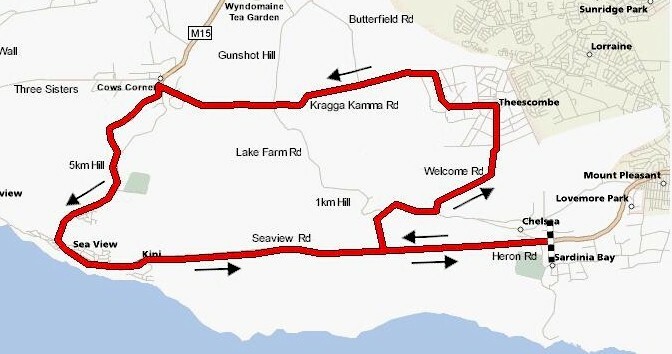 This will follow the clubs Binneman Circuit taking riders from Seaview Road, over Welcome Road, Kragga Kamma Road to Cows Corner and returning via 5k Hill and Seaview Village and Seaview Road back to the start. Riders in each of the Masters and Ladies racing groups will compete within the particular group and not against other groups. An additional group will be added for visitors. The overall winners per group will be the riders with the minimum time for the three events combined. Each of the groups will be rewarded for the first three places in each group. No handicaps will therefore be applicable as each racing group is a race on its own. Prizes: Medals for first three in Masters and Ladies Racing groups. Done at annual prize giving.